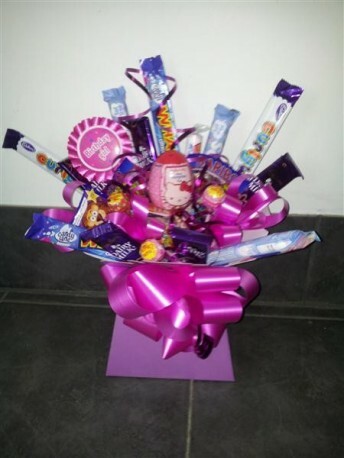 Sweet box bouquet ideal for childrens birthday gift or we can make a sweet box suitable for an adult for any occasion. Selection of mixed sweets and chocolate presented in a box. Helium balloons can be purchased from our Balloon section and added to this order.